Welcome to Eat 2 Run! I’m here to help you figure out what and how to eat for energy, running performance, injury-prevention and racing weight. You’ll find tips, strategies and the latest in nutrition research here, as well as yummy recipes to help you build a stronger body and run faster. Hi! I’m Sarah. And I’m here to help you run stronger and faster! 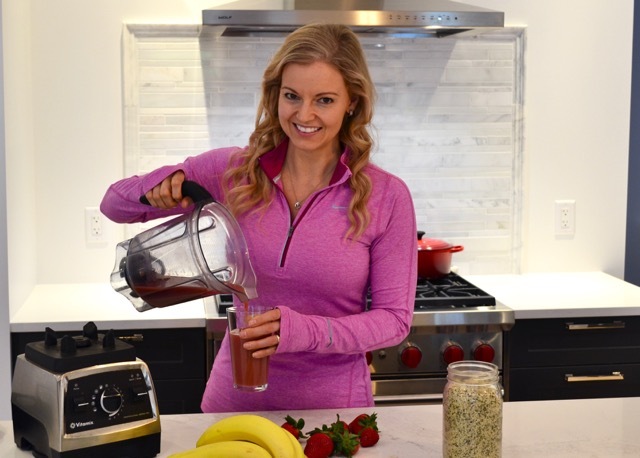 As a holistic sports nutritionist, I get really excited about helping others reach their goals because I have personally experienced just how profoundly the right nutrition strategy can positively affect our performance.